Finished Sails for 5 Kites from one 96' Rainbow Transition Tail today. Will finish the Endcaps, Bungees and custom Skyshark frames this week. Hopefully first flight will be at the Wright Kite Festival in 2 weeks. It's where I flew my first home made 2 years ago. 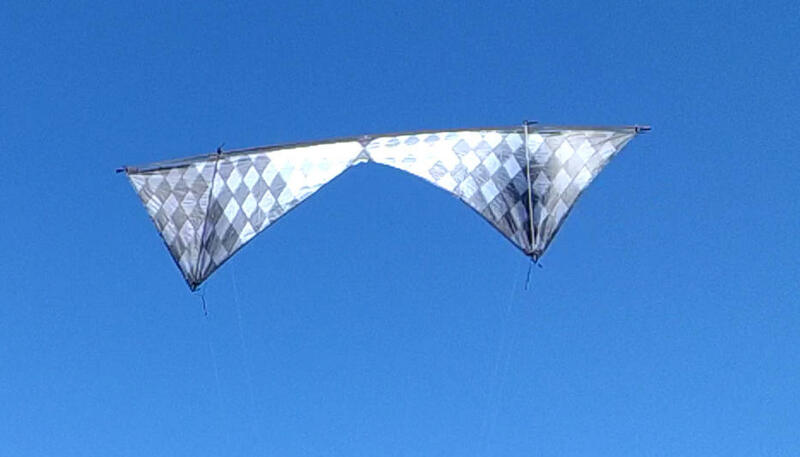 These kites all have 72" LE sleeves and will use 74" LE. I'm still considering putting a vertical black stripe on the center of each sail. 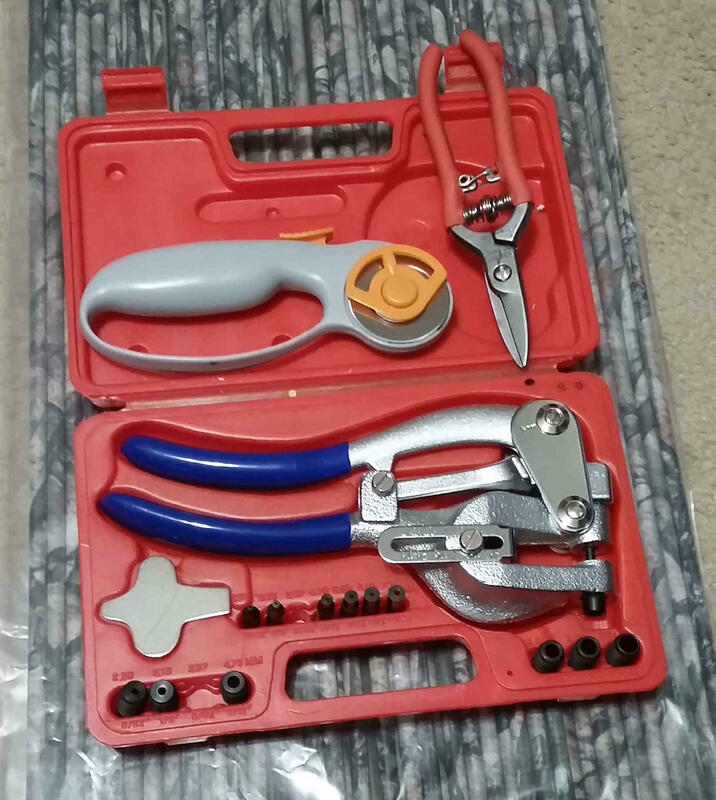 Since the new year, I've turned my attention to materials other than tails.. 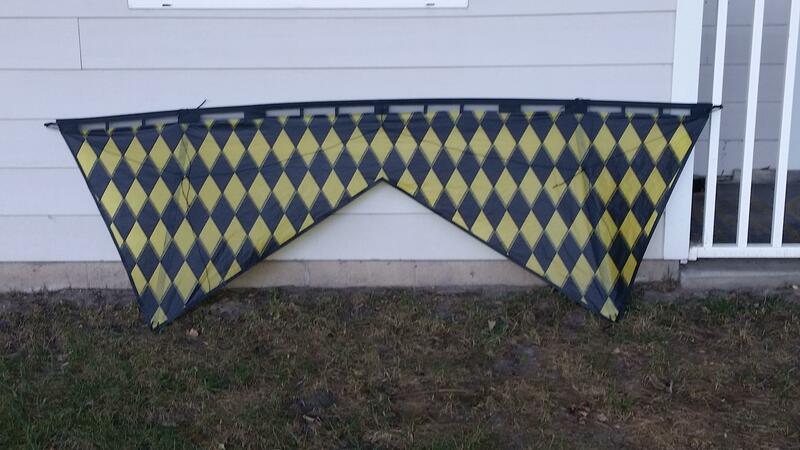 Nothing wrong with the tails constructions but I wanted a new perspective.. and that perspective was perspective.. Angled shapes started out as a lazy harlequin pattern in complimentary colors. Because of the pattern it became the Jester. This was my first run at edge joining materials that were not already hemmed. The Jester followed by a vanishing point perspective in dissimilar materials. @Bill Clay was nice enough today to fly my mesh while I got a bit of video..Thank You Bill.. 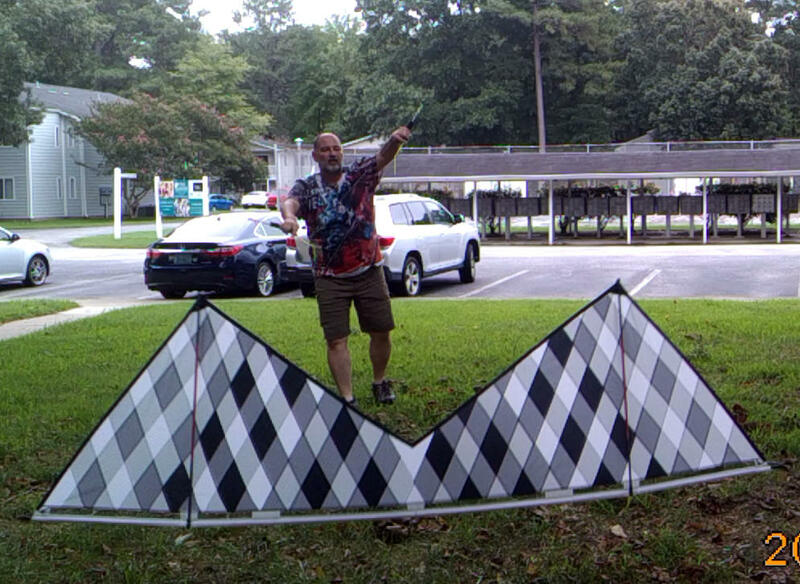 I wanted to explore some uneven spacing and was very pleased with the outcome one this kite which also debuted at the 2017 Rogallo festival. Jim Cosca told me this wasn't a good kite, it was a GREAT kite. High Praise coming from a master.. No Video yet was too busy flying to record. Mesh #4 has a new home.. So @SHBKF will be keeping Mesh #4 well flown for me.. Enjoy it buddy.. This was created from the "good side/bad side" "lessons learned on Mesh #3. The LE is made from Freilein Kite Bag Canvas. Again first flight was one day after work without video but I kept up the throw launch tradition.. First Video is here.. FWIW, this is the first kite I ever put in the ocean.. Luckily JB was there to help fish it out of the surf. Wet Ripstop is HEAVY..
My first attempt using transition tails. The kite was planned to be full size but this was a lesson in good "side/ bad side" when the kite is formed from one panel. This is also the first time I added a bit of curve to the LE. 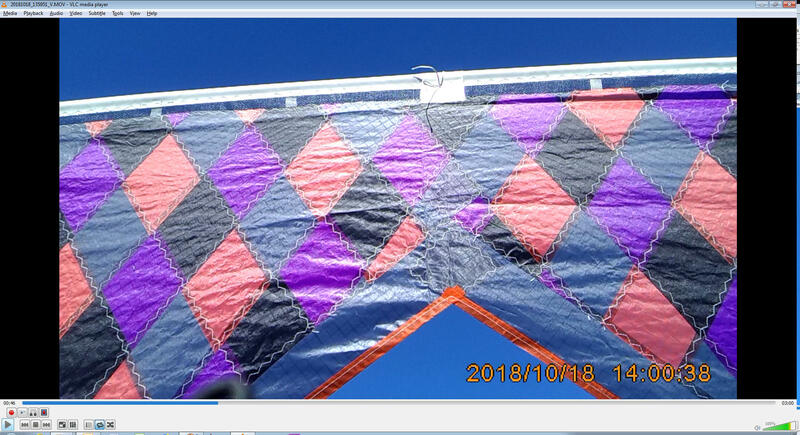 This kite was finished in Early March and saw first flight without video available.. Throw launch was successfull but this kite has a bit of float and makes the catch a bit trickier. First Video in 20+ Winds is here. I wanted a finer basket weave and was willing to accept the weight of the sail as a factor in performance. The Reinforcements are Canvas strips I had handy. The Le is a strip of the Gomberg Skywriter tails. JB had flown most of my creations to this point and said this was the best of the group so far. First Flight Feb 2017. 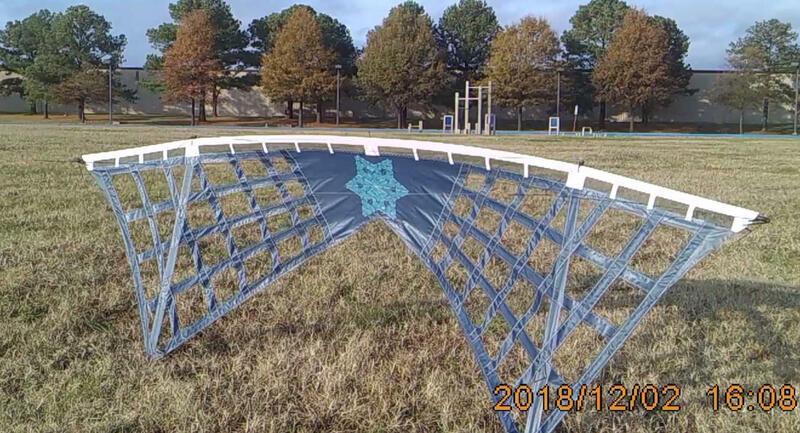 Began the tradition of throw launching a new kite for first flight. While this will never actually be made (I DON'T Have the skills to replicate the pattern like this.) I have started sewing the scraps together to make anpanel I can use fer anything from a kite to a kite bag.. I decided to flip and mirror i into a 9 panel layout just to mock up what it WOULD look like.